In the North-West side of the Ghorka district in Nepal the lies the hidden Tsum valley, surrounded by impressive mountain ridges including the peaks Ngula Dhabchhen (5093 m.a.s.l.) and Thapla Pass (5104 m.a.s.l.). It is known by the local people as a sacred place for its numerous monasteries, sacred caves and breathtaking landscapes. The area, located within the Manaslu Conservation Area, is rich in cultural and biological diversity. Since 1920, the upper Tsum region has been officially protected by the local Buddhist people as a Shyakya ("Non-sacrificing area"), meaning it has not been allowed to kill animals there. After more locally organized events dating since 1972, the lower Tsum region was also declared as Shyakya in 2012. With its peaceful culture and strict pro-environmental lifestyles, the Tsum valley is very well preserved, and threats appear to exist only far away. Some blogs, however, alarm on the plans of the national government to build a road that will pass near the Tsum valley. Locals fear that they will use the stones of old monuments and that the establishment of such roads will bring poverty rather than wealth. Other locals embrace these plans, and see them as an opportunity for the development of new activities and economic development in the region. The Shyakya tradition of non-violence is the central vision of the region. It is lived after and expressed through festivals and other acts through which locals reach out to the wider public. Killing animals, even for ritual purposes, is not allowed, nor is the trade of meat, collection of honey, or setting fire to the forest. This vision of the Tsum people has contributed to the establishment of the governmental nature protection regime. The Tsum Wellfare Committee actively reaches out to broad Nepalese and international audiences through demonstrations and festivals to raise awareness of their peaceful lifestyle. In doing so, they attract attention of international tourists who may be triggered to visit the valley. So far, Tsum people welcome visitors with open arms and their presence is seen as an opportunity. Big cultural events include Losar, the horse festival celebrated around New Year in February and Saka Dawa, the celebration of the life of Buddha. Important government policies that affect the Tsum valley are the National Park and Wildlife Conservation Act (1973), the declaration of the Manaslu Conservation area (1989) the Conservation Area Management Regulation (1996), the Buffer Zone management Regulation (1996) and the Buffer Zone Guidelines (1999). The declaration of the area as a Shyakya in 1920 is the most important customary law, which has been reaffirmed and passed on over the generations. The commitment was officially repeated in 1972, when the declaration was translated into the Nepali language for broader audiences. So far, there has been a discrepancy between customary laws and practices and governmental laws, but in this case, this has not led to significant problems. The Manaslu Conservation Area houses the endangered Snow Leopard (Panthera uncia) which speaks to the imagination but is seldom observed in the wild. The area is composed of a temperate zone, a sub-alpine zone and an alpine zone. The 11 types of local forest ecosystems contain over 2000 plant species and house at least 32 more species of mammal including the musk deer (Muschus sp.) and the Bharal (Pseudois nayaur), 110 bird species, some reptiles and some butterflies. The Tsum Valley is widely inhabited by nuns and monks and by the Tsum people, who have protected the area culturally as traditional custodians. Villages are led by two types of leaders. Decisions on the religious activities are taken by the local Lama. Other issues are decided by Ghechen (regional level) and Ghange (community level) and their supportive Shyara. For as long as remembered, these people lead non-violent lives. Killing animals is seen as a sin, and felling trees is not done, or even prohibited in so called Gumba Forests (“Monastery forests”). In fact, trees are often kept clean because locals believe that they are inhabited by gods. While people follow the rules associated with non-violence to maintain the sacred character of the valley, the punishment for breaching the non-violence law established in 1920 is to light 1000 lamps at Rachen Gumba, a famous local monastery. The government of Nepal and NGO’s such as the Tsum Wellfare Committee, the International Centre for Integrated Mountain Development (ICIMOD) and Forest Action Nepal support the protection of local nature and culture. This happens mostly through education, healthcare and employment opportunities, but also through the documentation of the Tsum people’s lifestyles, so that they are respected and understood. The government increasingly acknowledges local views, and they currently also participate in the establishment of local protective habits into laws. Dialogue with the government, aided by professional translators is opted as an important process that should keep the development in the region peaceful and sustainable. An example is the visit of the Nepalese prime minister to the Tsum Valley Shyakya festival with the intention to support the message of non-violence. Locals are very grateful to see the education intensify, meaning that their children can stay in the region and still prepare for future interaction with modern societies. Since 2008, there is an increase of sustainable tourism in the area, where people are guests in local homes. This provides some jobs for the local people and reduces the need for extra construction of tourist accommodations. The fact that peace and harmony persist in the valley is the most important result of traditional action. The reaffirmation of the Syakya laws in upper Tsum and the festival that was organized in 2012 have led to the declaration of the lower Tsum as a new Shyakya in 2012. The recognition of their values spreads further through the works of the allied NGOs such as the Great Himalayan Trail Preparatory study by the ICIMOD, and through their representation in the Asia Parks Congress in November 2013. Rai Jailab, K. , Lama N. 2013. Tsum Sacred Conservation Area in Gorkha, Nepal. Paper presented in the Asia Park Congress (APC) in Sendai Japan in November 2013. Rai, Jailab K., 2012b. Shifting Biodiversity Conservation Paradigm and a Promising Alternative in Nepal. In: Dahal, Uprety and Acharya (Edt) "Reading in Anthropology and Sociology of Nepal". Society of Anthropology and Sociology of Nepal (SASON), Kathmandu.PP, 330-330. Jana, S.; and Sharma, Naya P., 2010. Rediscovering Indigenous Peoples and Community Conserved Areas (ICCAs) in Nepal. ForestAction Nepal, Satdobato, Nepal. Rai, J., Lama N., Verschuuren, B. (2016). Sacred Tsum Valley: Improving biodiversity conservation with? 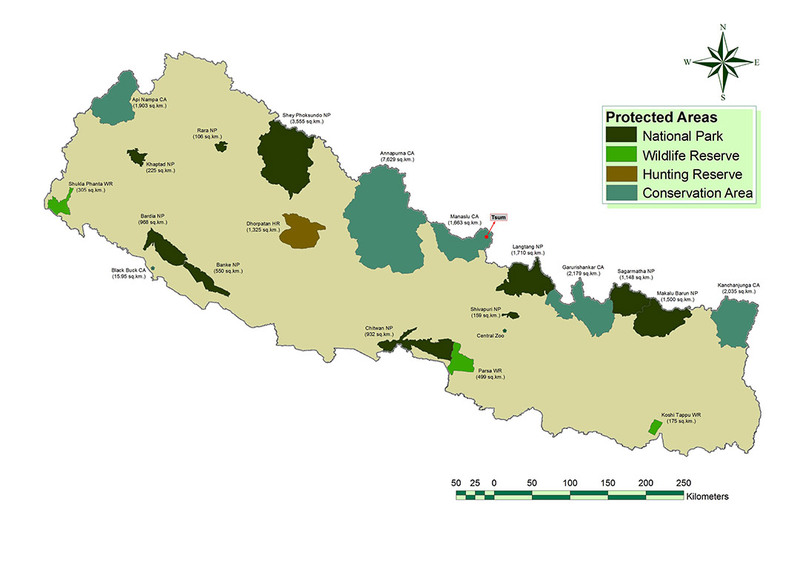 lessons for effective management of protected areas in Nepal. In: In: Asian Sacred Natural Sites: Philosophy and Practice in Protected Areas and Conservation. Routledge, London. ?pp. 221-234. Rai, J., Jana, S. 2016. 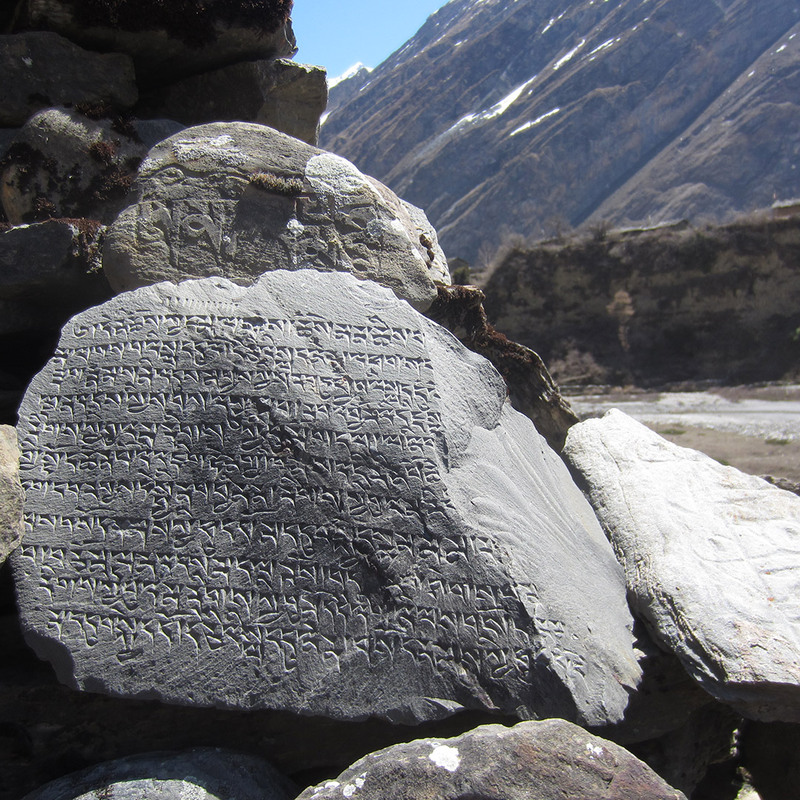 A biocultural perspective on the recognition and support for ?sacred natural sites in Nepal. In: Asian Sacred Natural Sites: Philosophy and Practice in Protected Areas and Conservation. Routledge, London.?pp. 81- 92. Tsum Sacred Conservation Area in Gorkha, Nepal. by Nina Lama and Jailab Kumar Rai at the first Asia Parks Congress, Japan, 2013. Protected Area Management and the Livelihoods of Indigenous People in Nepal: Harmonizing Policies and Practices. by Jailab Kumar Rai at the first Asia Parks Congress, Japan, 2013.